Just when I thought no one could surpass American youth in their negligent, idiotic and reckless holiday ritual of annihilating themselves with alcohol, I read an article (Partying Until Drunk and Disorderly in Britain) that made me feel more positive about my fellow countrymen. I learned British youth is even more fervidly reckless than American youth. I have always known that they love to drink but don’t share our obsession with fire arms while intoxicated. They settle scores like real brawny men, with their fists. However, after having read this paragraph, I burst out laughing and wondered what the outcome could have been if British Parliament added our version of the second amendment–The Right to Bear Arms–to their Bill of Rights? Meat cleavers and amputations? Wow, those Brits are bad-asses. What if those cleavers were AK-47s instead? Of course I don’t mean to laugh at this alcohol induced tragedy. What is effete British law enforcement’s answer to mitigate the rise of public inebriation by underage youth? They have set up “Mobile Custody Suites” on weekends, booking them on charges of violent intoxication, hosing down their bloody noses and puked on tees and knickers and sending them on their way. 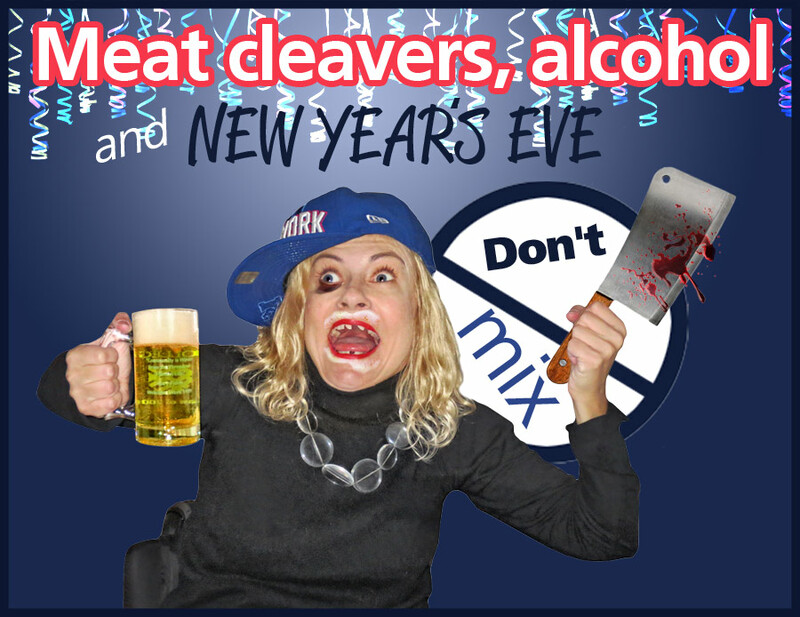 I am sure the reckless behavior will continue on New Year’s Eve next Tuesday, but I do have some advice to keep them out of the pokey and their appendages intact. Store all hatchets, knives, cleavers and machetes in a storage unit that can be locked. Take the key, toss it down the drain. Two mornings later, call the locksmith to open said storage unit. Please be safe everyone this New Year’s Eve. Those hatchet days are long over. I usually go to a small knitting party, armed with long needles-yes, the girl with the purl. I drink in moderation without feeling the need to fall down a flight of stairs and land on a pile of empty Domino’s pizza boxes, or end up splayed out on a cold tiled floor with wheelchair tire tracks across my face. I am OVER that crap. As far as New Year resolutions go, I hate making them. If you want to set goals or make a change in your life, just do it. You don’t need to make a slurred proclamation on Facebook seconds before the New Year rings. I do have a few goals next year. Here is one I will share with you. I want to wear my undergarments on the outside of my clothing more often. See my post on the Jean Paul Gaultier exhibit at the Brooklyn museum. 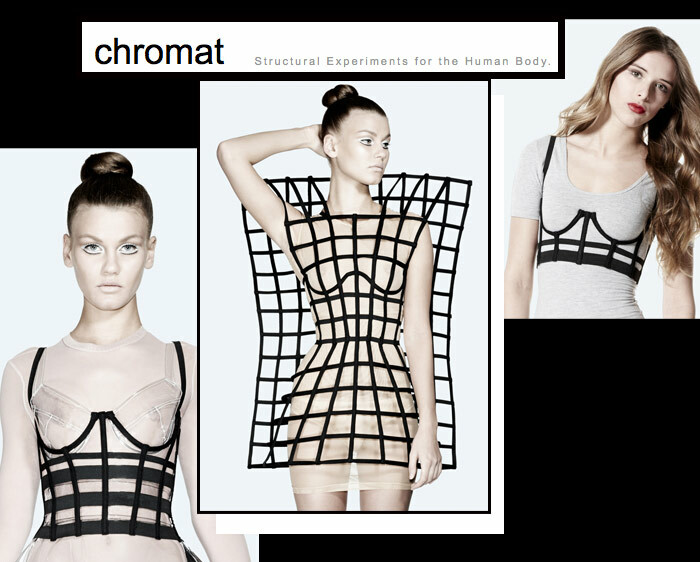 Then I found website, ChromatGarments.com which touts “Structural Experiments for the Human Body” as a way to add intrigue to one’s otherwise boring, neutral attire. I love this concept that adding structural architectural scaffolding to one’s outerwear or underwear, can refresh a lackluster item of clothing. I want everything. But in particular I NEED these items. 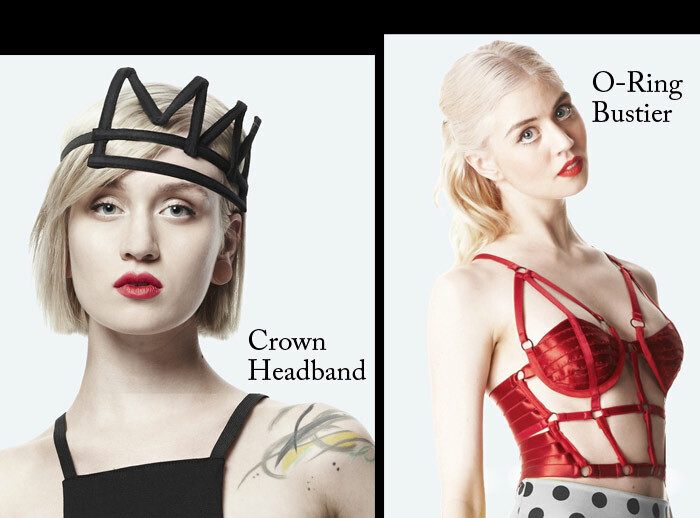 The item on the left is perfect for anyone over 40 whose breasts are fighting gravity and need some extra hoisting. Time to reveal the hoisting process to the public. Happy New Year everyone. Be safe. Drink plenty of coconut water to stay hydrated, keep snacking on salty snacks to coat your stomach and please stay alive. See you in the New Year, 2014! Happy New Year Mate, I just love your Blog! Happy New Year from New York. Thanks for reading my blog. It’s true what you say. 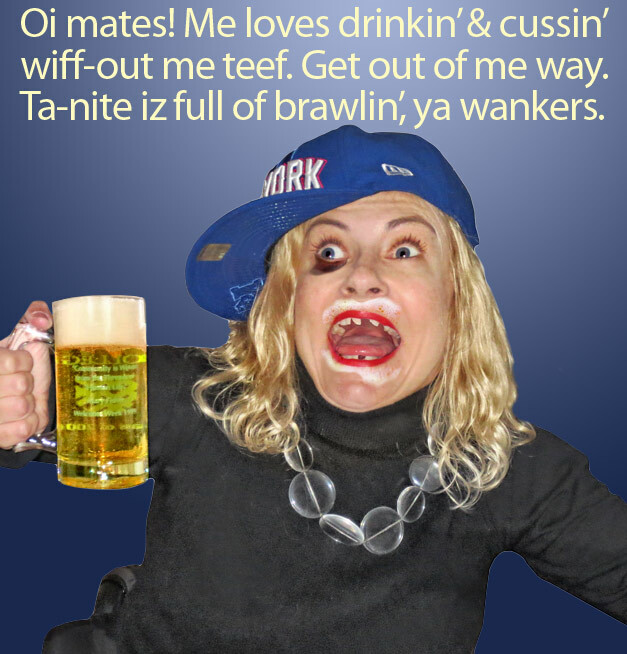 I’m an American expat working in the UK, and our British brethren take the binge drinking thing yo a while new level. Saddle, we are seeing 20 and 30 year-olds with fulminant liver failure. Like you, I am so over that noise. I was very immature in my 20s, but happily never got sharp objects involved with my escapades. Liver damage in one’s 20s is insane. Happy New Year.